Even this could sound strange but when I have been tasting this wine and wonder to what it remains me I came up with sunflower seeds. The sweetish taste at the moment a seeds open in your mouths is similar to the herbal but dry fruitiness of this excellent white wine. It’s really creamy, even a little bit fad (if I can say so) and rich of so many different summer grass aromas. Simply wonderful! 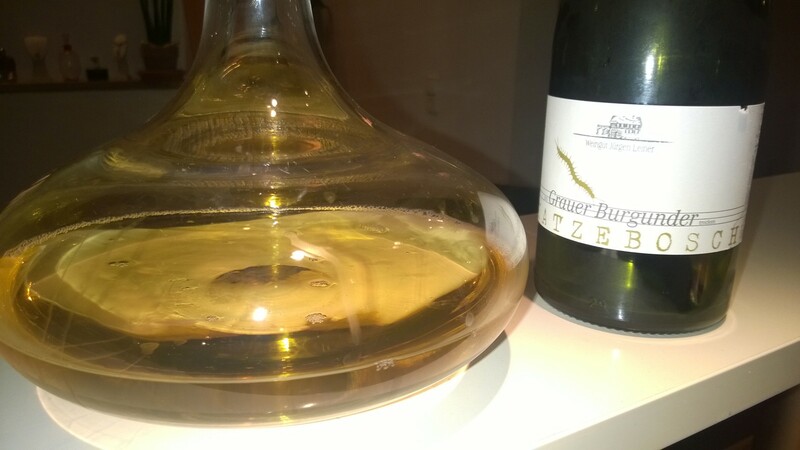 As all wines of Jürger Leiner this is a very kind, light and even tender wine. Soft but with a hint of minarlity even the soil the wine is from contains rather loam than granite (which I thought it would taste like). The vineyard of this wine is different to the other two wines I wrote about. It is called Katzebosch which is rather flat land and according to Jürger Leiner one of the warmest location in Pfalz. I would recommand to drink this wine not too cold, I would even decade it. This something really special and therefore perhaps rather difficult to combine with. Perhaps two ideas which are very opposite: Leberwurst (German Paté) and Chinese Sweet Sour Pork. You may remember that Jürgen Leiner always puts a rare insect on the beautiful labels of his wines. 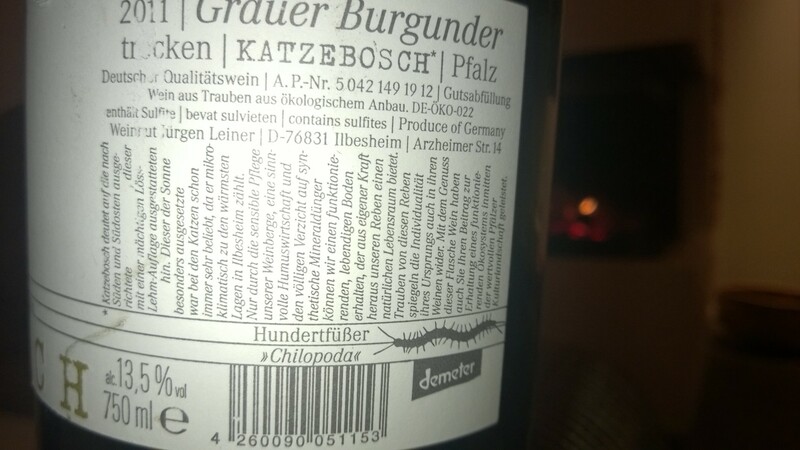 The symbol of this wine is a chilopoda respectively centipede.